Situated on a superb modern development in the beautiful village of Storrington, this impressive 4 bedroom family home is laid out over three floors. The living dining area has French doors that open out to the garden and skylights making providing plenty of light and there is a modern kitchen breakfast room. The upper floor is the master bedroom suite which has an enviable hotel suite appearance with oodles of storage including a walk-in wardrobe and shower room en-suite. An enclosed rear garden offers a place for the children to play or a place to sit and enjoy a summers day. Storrington village centre 1.25 km away and the local primary school is 500 meters away so no more sitting in traffic on school runs. ** SOME BILLS INCLUDED **Clarkes Lettings are pleased to offer to rent these beautifully presented luxury apartments. Viewings highly recommended! Available now! OUR COMMENTS: Clarkes Lettings are pleased to offer to rent these beautifully presented luxury apartments. There are 6 individual self contained apartments available each with their own unique layouts, designs and furnishings. Starting from £650pcm. (Pictured is the smallest studio apartment on the ground floor) Viewings recommended to see what the other apartments have to offer. These apartments are suitable as short or long term lets and would suit a professional who needs a 'home from home' or mature individuals looking to downsize to accommodation that provides you with just what you need and is safe and secure. The apartments are perfectly located in the popular seaside town of Bognor Regis, within walking distance to the train station, beach and other amenities. - A 'Studybed' A clever variation to a wall bed. A double bed which during the daytime can fold away and convert into a study desk without the need to remove any of the bedding or desk items. 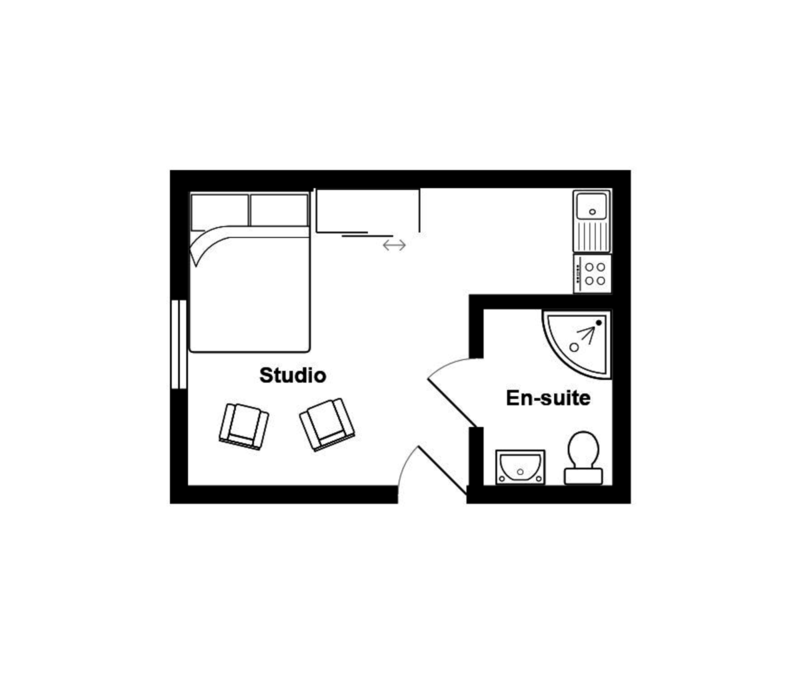 Each studio accommodation varies in size and layout. Viewings highly recommended to appreciate what these luxury apartments have to offer. Available for short or long term lets - please call for more information.